The market had a pretty terrible October. And so far, November isn’t looking a whole lot better. A bunch of previously hot trends, from FAANG stocks to marijuana and crypto are all struggling as of late. The recovery in oil has abruptly reversed; crude prices are now in freefall. Add it all up, and things have gotten downright ugly from a sentiment perspective. It has felt like there has been no place to hide during the recent selloff. Investors have plenty of worries, including higher interest rates, oil prices, China’s economic health and a changing political outlook following the elections. But there is some good news. Earnings growth remains strong. The unemployment rate is low; remember, the Fed is hiking aggressively to keep the economy from overheating. Consumer confidence is elevated, and as such, we should expect a strong holiday season, particularly with gas prices dipping. On top of that, we’re entering the historically strongest portion of the year for the stock market. While others are worried, it’s the time to go shopping for stocks ahead of the holidays. Here are seven stocks to buy today. JD.com (NASDAQ:JD) is having an unpleasant 2018 due to three factors. For one, its revenue growth rate has slowed down significantly. Second, the whole Chinese tech sector has plummeted thanks to escalating trade war tensions. Finally, JD’s CEO, Richard Liu, was involved in a sexual assault scandal that rattled some investors’ nerves. To be clear, these are all legitimate concerns. JD stock is a high-risk, high-reward stock. But with the share price down from $50 to $22, it’s time to get aggressive as others are panicking. JD stock is now down to 0.5x sales. That’s an absurdly cheap ratio for a fast-growing e-commerce play. Amazon (NASDAQ:AMZN), by contrast, tended to trade at three times that level during its post-recession growth phase, and that’s before its valuation surged even higher as the cloud business took off. Unless you think Chinese trade concerns will send their economy into a deep recession, or that the company’s business model has broken down, it’s hard to see a case where JD stock doesn’t trade back to 1x sales sooner or later. Figuring that revenues grow 30% next year, and you’re looking at JD stock trading north of $50 per share again in due time. The oil bears are back in full force. WTI crude prices have plummeted from $76 in early October to just $56 now. The decline was capped by a punishing 9% decline on Tuesday as rumors of Saudi production changes and potential hedge fund wipeouts led to capitulation selling. For investors seeking stocks to buy at a discount, this sort of action is great. Traders tend to sell anything related to oil during a major decline in crude. They’re making a big mistake with Transcanada (NYSE:TRP), however. TRP stock, owner of the Keystone pipeline, along with various natural gas pipelines, energy generation facilities and energy storage units, is now on deep sale. The company, which has produced 13% compounded annual returns since 2000, is a true North American blue-chip stock. Although its Canadian headquarters makes it less known to American investors, the $35 billion market cap firm is one of the leaders in our energy industry. And with TRP stock near 52-week lows, it now yields more than 5.4%, with management suggesting that there will be 8% to 10% annual dividend hikes through at least 2022. Given Transcanada’s exposure to natural gas investors should look past short-term oil weakness and buy TRP stock on this dip. This is particularly true when you consider that the price of natural gas has surged 50% in recent months. Here’s a fun fact. At the bottom of the 2015-16 oil crash, when WTI crude hit $27 per barrel, Schlumberger (NYSE:SLB) stock bottomed at $65 per share. Now crude is sinking again, but is still at $56, or double where it was at the nadir of the previous crash. SLB stock, by contrast, is at $48. That’s a 25% discount to its previous low. 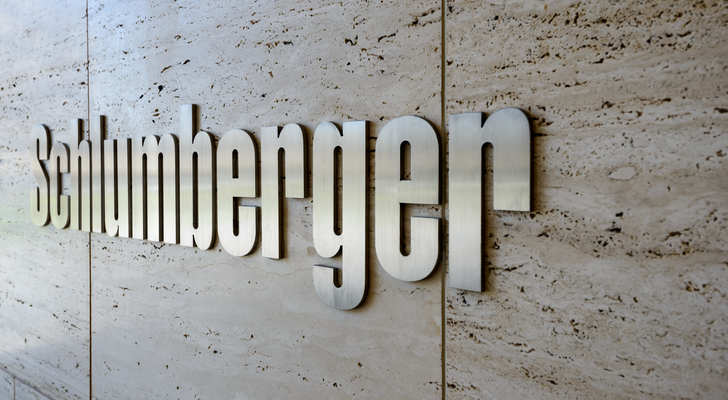 Has Schlumberger’s business position gotten that much worse? No, it hasn’t. It remains the world’s leading oilfield services company, with roughly 100,000 employees working in more than 85 countries. It also has stayed solidly profitable and continues to pay its dividend despite the rough times for the oil industry in recent years. Value investing pioneer Benjamin Graham put it well in his classic book The Intelligent Investor. There, he suggested that during a crash in a sector, the prudent patient investor could simply buy the industry’s leader, assuming it had a reasonable balance sheet and hold on for the inevitable recovery when the sector became hot again. We don’t know when oil will bounce back. We do know that Schlumberger will still be in business when it does. In fact, the longer the sector downturn goes on, the more SLB stock may benefit as its weaker peers go bankrupt and it can buy up their assets and hire their employees on the cheap. In any case, SLB stock is one of the more appealing stocks to buy, given that it’s at a 25% discount to the worst of its 2016 levels, even with oil way up from then. I’m generally not a huge proponent of the too-big-to-fail banks. In general, a discriminating investor can find better value in smaller local banks. That said, a market overreaction of this magnitude is hard to ignore … yes, Goldman Sachs (NYSE:GS) should rebound quickly in coming weeks. GS stock plummeted from $230 last week to $205 on the basis of a scandal in Malaysia. Malaysia’s finance minister is demanding a $600 million refund of fees. Goldman Sachs earned that amount in return for underwriting bonds of the controversial 1MDB fund. 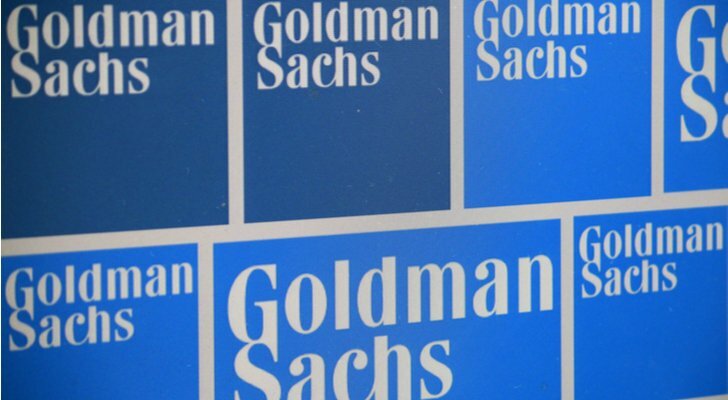 Reports claim said fund stole money and that Goldman Sachs “cheated” in its dealings in the matter. Assuming the worst is true and Goldman refunds $600 million, that would amount to a hit of less than $2 per share of GS stock. Thus, the stock market has punished GS stock roughly 10x the amount of market cap that is implicated in this scandal. Sure, it’s possible that the damage spreads. But investment banks end up in this sort of mess all the time; the generally safe assumption is to expect fines, a regulatory slap-on-the-wrist and then business carrying on like usual. And business as usual is looking pretty great for Goldman Sachs here. Thanks to the recent selloff, the stock is trading at 8x trailing and 8x forward earnings. That’s right, this $205 stock is earning more than $25 in annual earnings-per-share. I know investment banks are risky, but that’s a pretty huge margin of safety. Once this scandal blows over, expect traders to rediscover the strong fundamentals for the U.S. financial industry and bid GS stock back up. For higher yield dividend investors, British American Tobacco (NYSE:BTI) should be near the top of your radar. The $90 billion market cap firm has seen its stock plunge in 2018, putting it firmly in the “stocks to buy at a major discount” category. In fact, BTI stock is down from $70 to $37 in recent months. That’s a truly massive drop for a defensive company like British American. Usually vice stocks, such as beer, liquor and cigarette names hold up well through market volatility. In fact, over the past 80 years, those sectors have historically been No.1 and No. 2 in total market returns. However, BTI stock is in freefall now. That’s partly due to higher interest rates knocking down many higher-yielding stocks. The bigger risk has come with the threats to the menthol cigarette market. The Food and Drug Administration is reportedly looking at banning the popular product. British American has led this product category, and a ban would certainly hit profits. But it’s estimated that only 25% of its profits come from menthol products; that’s hardly reason enough to trigger a nearly 50% selloff in the BTI stock price this year. In the meantime, shareholders now get a juicy 6.9% dividend yield for owning BTI stock. And with the P/E ratio at just 9x, even an unfavorable resolution to the menthol issue would still leave the stock at a reasonable valuation. The ups and downs continue for Qualcomm (NASDAQ:QCOM). The company remains a controversial one. 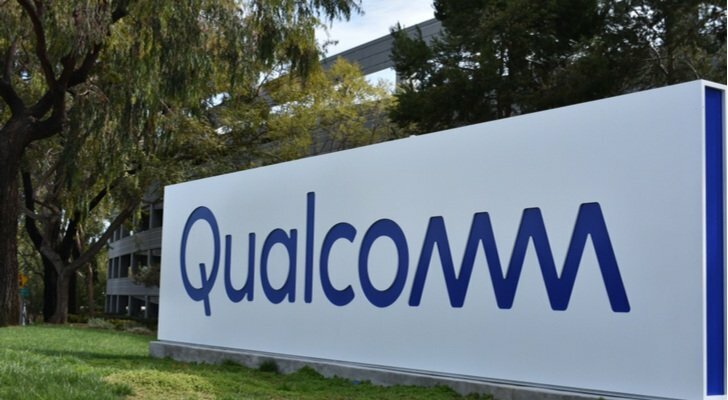 Since its NXP Semiconductor (NASDAQ:NXPI) merger blew up, investors have quickly had to reassess their outlook for Qualcomm as an independent entity. Initially QCOM stock declined, but shares advanced 40% off the lows as investors warmed up to the company’s prospects. In particular, the company’s announcement of a gigantic $30 billion share buyback seemed to put a floor under the stock. Unfortunately, the combination of the October tech rout and weak quarterly results have sent QCOM stock tumbling again. For people looking for stocks to buy, however, the sell-off is an opportunity. Qualcomm’s licensing franchise on 3G and 4G patents should continue to deliver strong and stable cash flow for many years to come. And while there is much more uncertainty, Qualcomm should earn strong profits in future years from 5G as well. And the tide in the patent litigation battle against Apple (NASDAQ:AAPL) appears to be turning in Qualcomm’s favor. Once that is resolved, it will lift an overhang on QCOM stock. In the meantime, enjoy a greater than 4.5% dividend and a robust share buyback policy. Looking for a lower risk way to play the recovery in China-related stocks? While JD stock has more upside, A.O. Smith (NYSE:AOS) is a safer way to take advantage of a thaw in trade relations between China and the U.S. A.O. Smith, for those unfamiliar, is an $8 billion market cap leader in water heaters, boilers and water treatment products. While the business may sound boring, its returns have been rather dramatic. Prior to the financial crisis, AOS stock was priced at $6. It’s now at $45, and it had recently hit $65 before the China worries started. AOS stock has managed such spectacular growth because the emerging markets have huge demand for water products. As billions of people come into the middle class, they can finally afford AOS’ products, which has led to near double-digit revenue growth for the firm. At 16x forward earnings, AOS stock looks reasonably priced for a defensive company that also supports surprisingly strong growth prospects. Here’s another thing to love: A.O. Smith treats its shareholders well. It has raised its dividend every year in a row dating back to 1984. With the recent stronger growth in emerging markets, it has been raising the dividend at more than 10% annually in recent times, including an impressive 22% hike this most recent year. Combine that with a stock that has recently dropped 30% on China worries, and this is a great stock to buy during this correction. At the time of this writing, Ian Bezek owned shares of JD, TRP, SLB, BTI, QCOM and NXPI. You can reach him on Twitter at @irbezek. 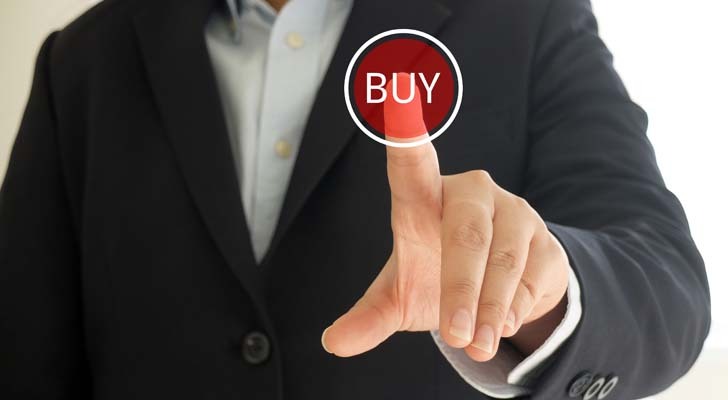 Article printed from InvestorPlace Media, https://investorplace.com/2018/11/7-heavily-discounted-stocks-to-buy-today/.